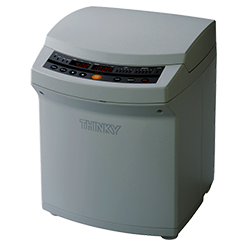 The THINKY ARE-250 Mixer is an industrial non-contact «planetary» mixer for all compounds. 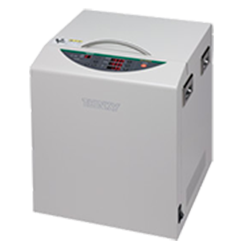 It mixes, disperses and degasses your materials in seconds to minutes, in a sealed or lid-less container such as a jar, beaker, syringe or cartridge. 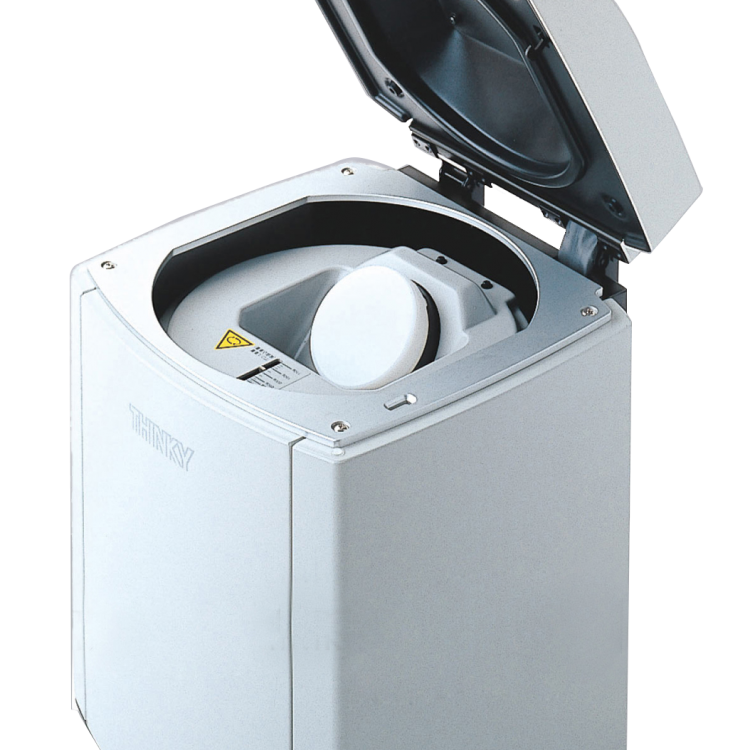 The non-contact mixing principle makes it possible to formulate compounds from very small amounts such as 0.5ml to large production scales. 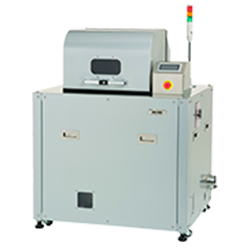 This is a lightweight benchtop model, which can hold up to 310g of material. 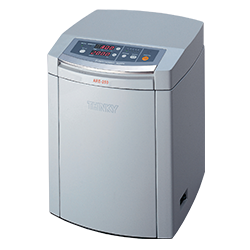 The Multi-Step Mixing feature allows you to program 5 different sets of mixing and degassing conditions (time and speed per mode) in a single batch cycle. 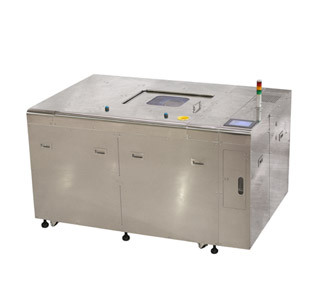 Precise control of the process makes it possible not only to improve formulation quality, but also to eliminate human errors or operator skills throughout the process. 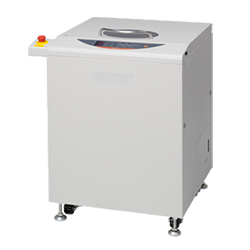 It is also effective in controlling shear, so as not to damage your materials. 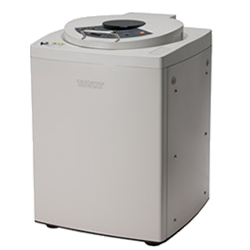 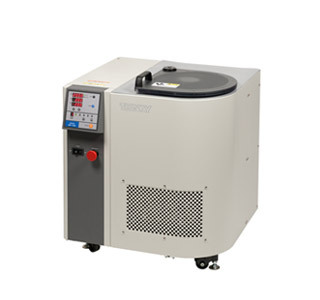 Cooled materials or heated materials can be processed with special adapters. 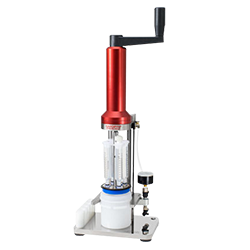 The ARE-250 can accept syringes up to 55ml or up to 75ml (2.5 oz) cartridges with optional adapters. 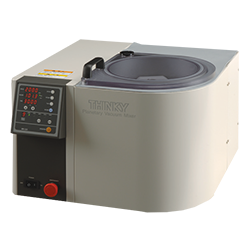 Larger THINKY mixers with vacuum capability are also available. 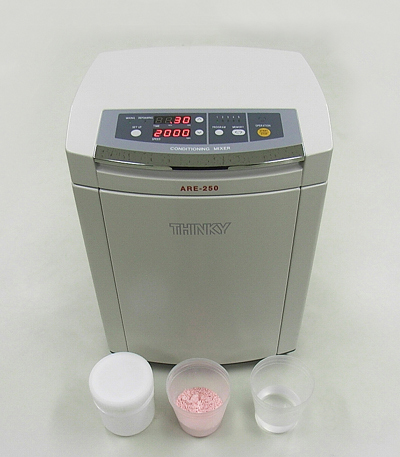 Counterop mixer with large batch capability.